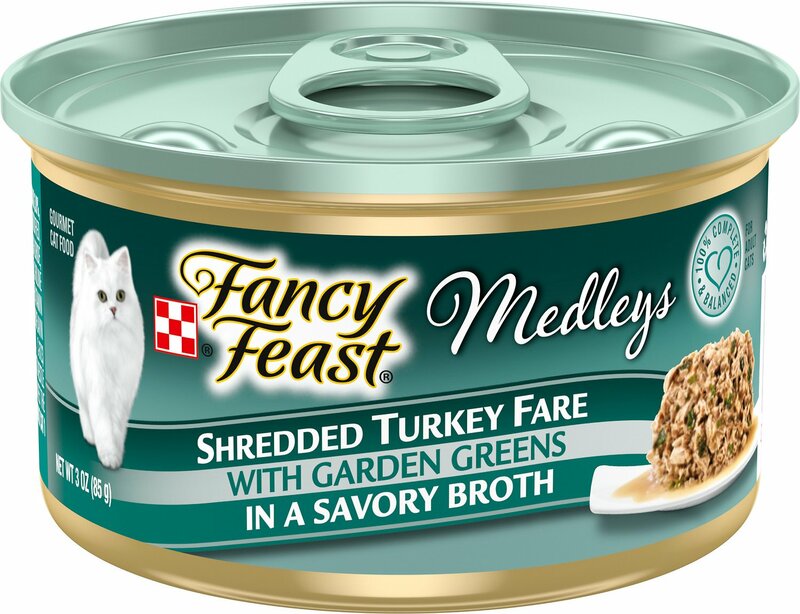 Treat your kitty to a whisker-licking medley of bistro-inspired flavors with the Fancy Feast Medleys Shredded Turkey Fare Canned Cat Food. “Give me meow Medleys,” your kitty says. This gourmet recipe features tasty turkey, and is packed with pretty much everything he needs to stay looking and feeling his best, like protein, antioxidants and healthy omegas. Plus, the formula is enhanced with vitamins, minerals and essential taurine for nose-to-tail well-being in every bite. Since it’s made with real broth, it also provides moisture to keep your pal hydrated and support urinary health. So open up the easy pull tab and get ready for all those satisfied purrs. 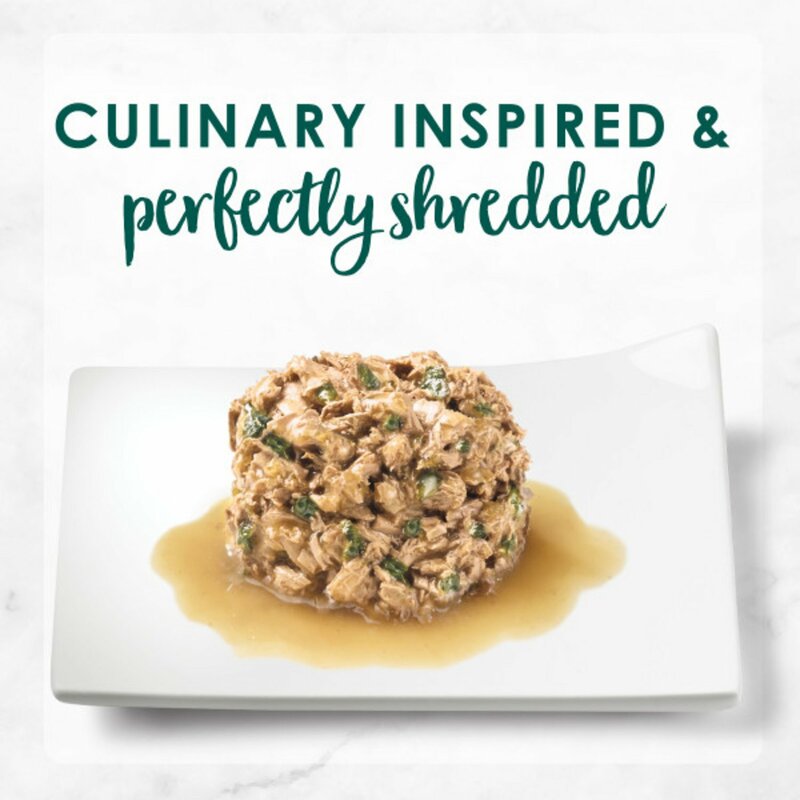 Bistro-inspired wet food recipe features real meat in delicate sauce for the high-protein nutrition your little carnivore craves. 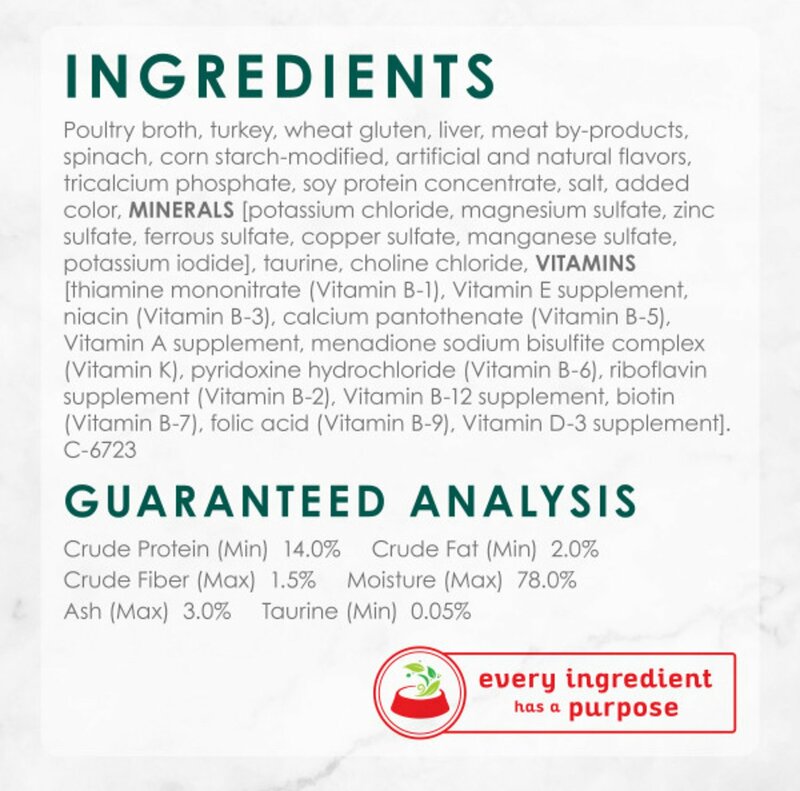 Poultry Broth, Turkey, Wheat Gluten, Liver, Meat By-Products, Spinach, Corn Starch-Modified, Artificial and Natural Flavors, Tricalcium Phosphate, Salt, Soy Protein Concentrate, Added Color, Potassium Chloride, Taurine, Choline Chloride, Magnesium Sulfate, Thiamine Mononitrate, Vitamin E Supplement, Zinc Sulfate, Ferrous Sulfate, Niacin, Calcium Pantothenate, Vitamin A Supplement, Menadione, Sodium Bisulfite Complex (Source of Vitamin K Activity), Copper Sulfate, Manganese Sulfate, Pyridoxine Hydrochloride, Riboflavin Supplement, Vitamin B-12 Supplement, Biotin, Folic Acid, Vitamin D-3 Supplement, Potassium Iodide. B-6723. Feed an average Adult cat 1 can per 3 lbs of body weight daily. Feed up to twice this amount to kittens. Fancy Feast Medley Patés are delicious cups of succulent, French-inspired minced chicken, wild salmon or ocean whitefish and tuna with chunks of cheese and garden greens in every bite. It's a smooth paté that's easy to eat and digest. Bring Italian cooking to your kitty's bowl with Fancy Feast Medleys Tuscany entrées. Inspired by the cuisine of the Tuscan region of Italy, these delicious recipes are brimming with hearty chunks of chicken, turkey, tuna or wild salmon. Long-grain rice is added for a great boost of protein and substantial levels of fiber that can contribute to healthy digestion. Nutritious garden green vegetables in a savory sauce round out the main ingredients for a scrumptious feast. 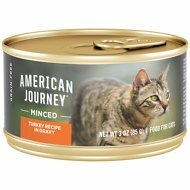 Each bite is bursting with succulent flavor your cat will love time and again. Give your cat the taste of spring vegetables with these Fancy Feast Medleys Primavera recipes. Each wonderful entrée is full of delicious garden greens like spinach, carrots and tomatoes with juicy chunks of turkey, chicken, wild salmon or tuna, simmered in a rich and tasty classic sauce. These meals are packed with the vitamins and minerals your cat needs to put a little spring in his step. 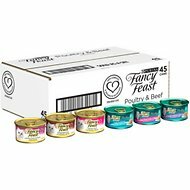 Fancy Feast Medleys Shredded Fare meals are delicious shredded white meat chicken, turkey, wild salmon or tuna in a savory broth that's packed with vitamins and minerals. 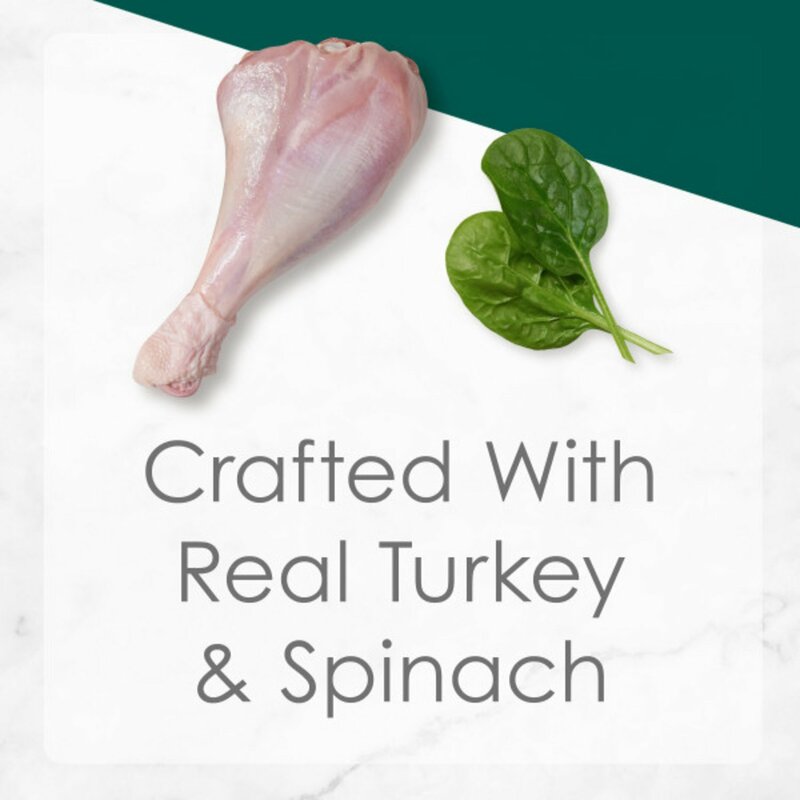 Each succulent entrée is brimming with tender meats and accented with healthy garden greens like spinach, which is exceptionally rich in carotenoids, including beta-carotene and lutein, and also contains quercetin, a phytochemical with antioxidant properties. Fancy Feast is committed to making gourmet-style, culinary-inspired meals for cats. 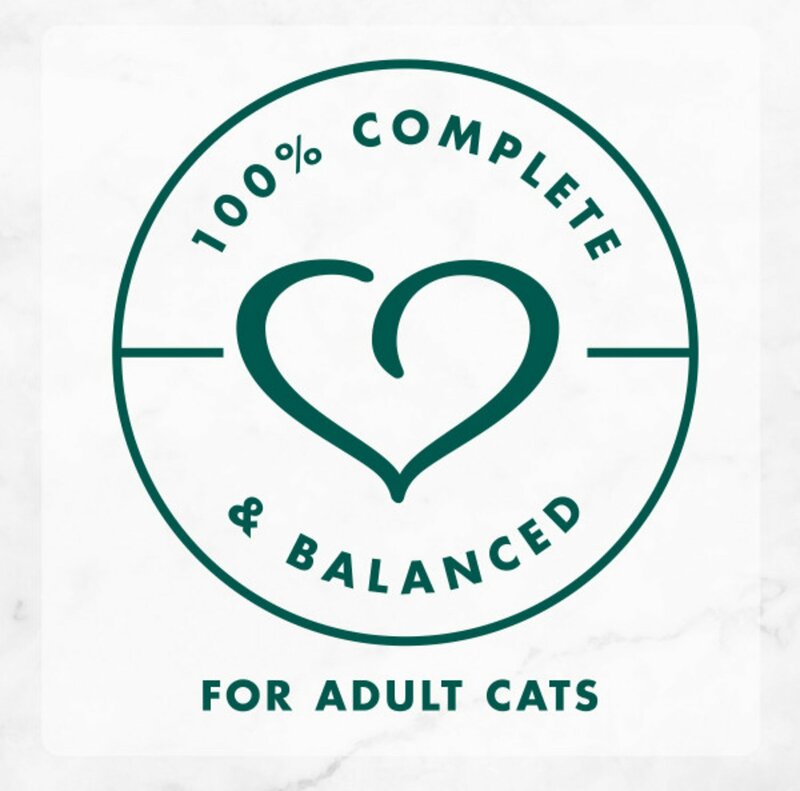 They believe that cat parents and their cats should have the opportunity to bond over well-prepared food and a healthy lifestyle. Since 1982, Fancy Feast has produced epicurean-level meals that are sold around the world. This is a special once-in-a-while treat because it is a bit pricey, but she loves it. I substitute it for her regular canned food a few times a week, so one case lasts the month. Happy she's happy! So glad I found Chewy! I have a picky eater! I could only find this food in a variety pack and she would not eat the other two varieties. Using Chewy cuts my effective cost per can from $3 to under $1. Thanks a bunch! My kitties love this food! My two kittens can't get enough of this stuff! I switch between a couple fancy feast wet food flavors so they have some variety. This is one of my cat's favorite foods, at 18 years old she gets what she wants! I live in a town with two major name groceries. Neither of them carry this flavor. The only way to get it is by mail order. I am very happy with Chewy.com. The price is reasonable and the shipping was free. Our three cats love it! Our three cats love the shredded and lick their bowls clean. My kitty likes this turkey. It is very meaty, and is apparently tasty. It does smell like real turkey. My cats are super finicky. They like to eat this some days, other days they snub the food. 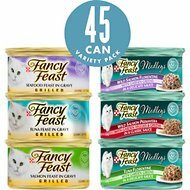 As far as quality, fancy feast has less than desirable ingredient list...unfortunately my cats snub most the high quality canned food and like one particular high quality pouch food that causes them to have diarrhea if I feed more than every other day.